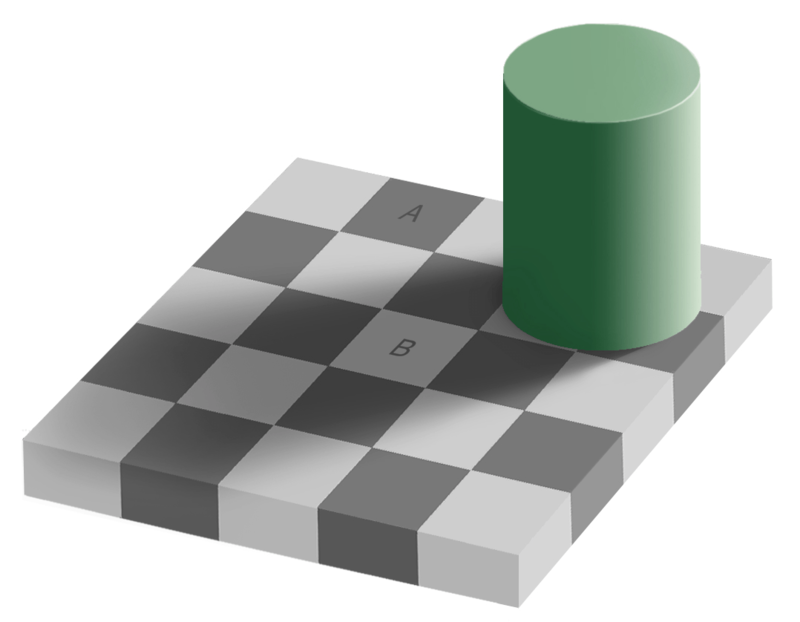 I assure you that the squares labelled A & B are the same colour. No, really. This is a wonderful illusion in that, unlike some others that I won’t shame by naming (I have geometric illusions with lines and the like in mind, however), I can’t convince myself in any visual way that the squares are similar. Even this alteration, which goes some way to dispelling the trickery, can’t fully convince. I had to open the image in Pixelmator* and confirm with the eyedropper that they are, in fact, both (120, 120, 120). You should do the same.